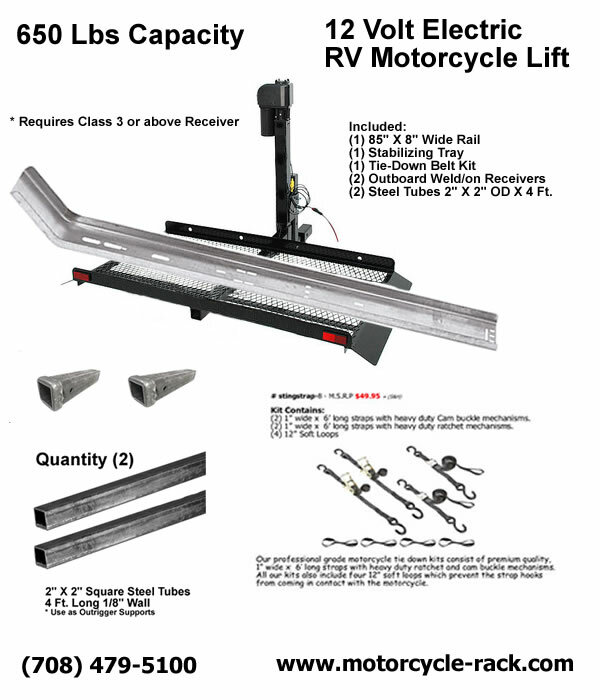 Motorcycle Carriers, to Lift, Carry & Tow Foreign & Domestic Motorcycles & Scooters. 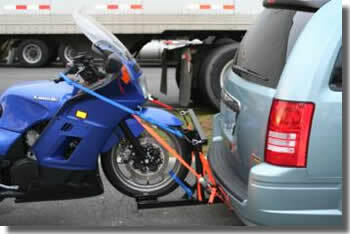 Welcome to the TMC Motorcycle Carrier web site. 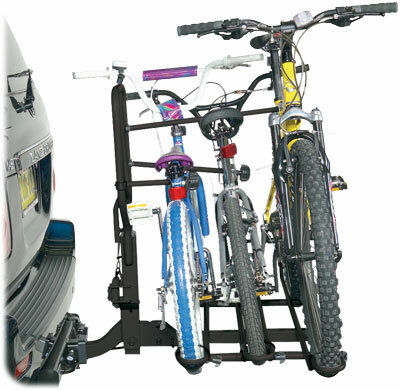 many different models of carriers to suit your needs! Click here for Mobile View! Click Here to Buy Now, Online! Open 7 days per week, 'till Midnight CST! "Free Traffic Light Trigger" Special Offer! Special may be increased slightly, at any time. 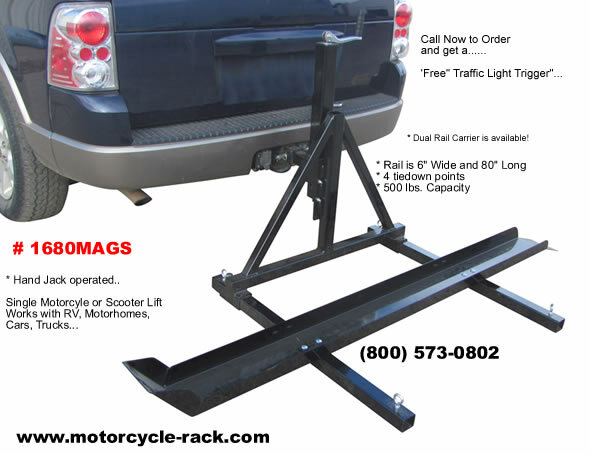 Orders on this Carrier & Ramp, received today - $225.95 and will include *Free Traffic Light Trigger! 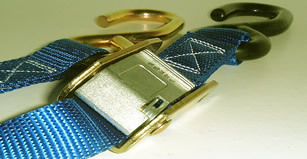 extra shipping for outside the US - email for estimate..
** Weight under 500 Lbs. *Will handle (2) Smaller Scooters! * Up to 1000 lbs. Capacity! * Click on photo above for more infomation. 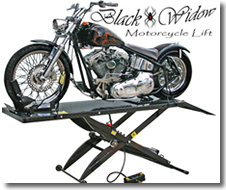 If you are looking for a selection of the most popular Disability scooter lifts or Disability scooter carrier models, take a look at the selection we have on our website listing: Scooter Lifts and Scooter Carriers. 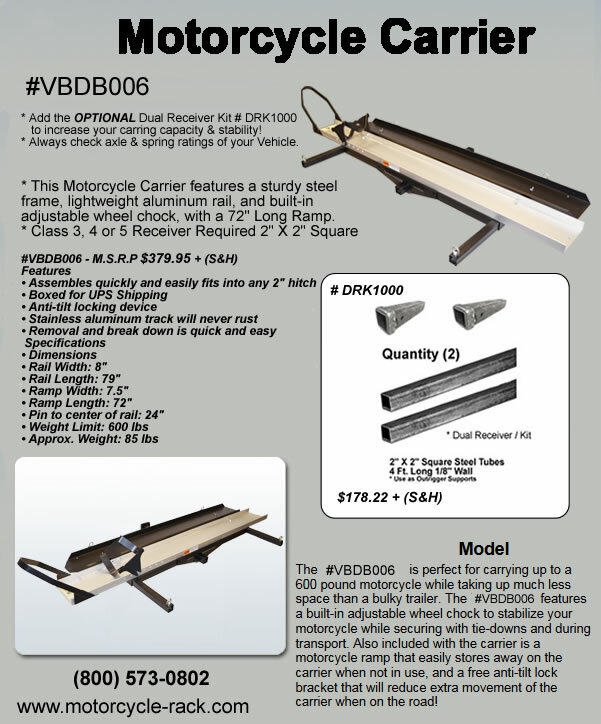 B-Dawg is your number one solution for all of your cargo carrying needs. 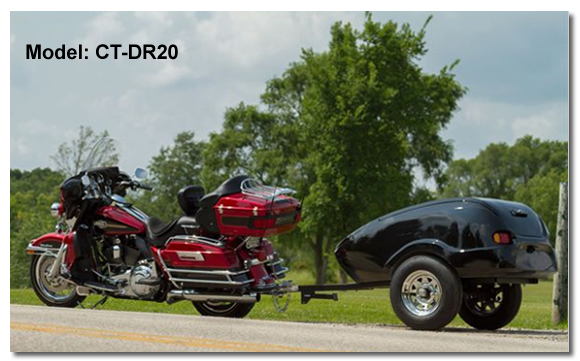 Made of rugged steel, B-Dawg Cargo Carriers stand up to the challenge of your bulkiest cargo in even the worst weather conditions. 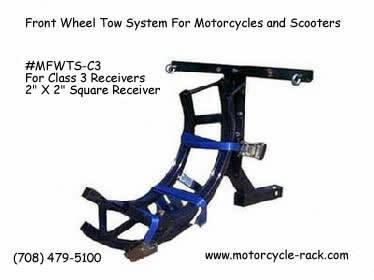 Emergency Motorcycle front wheel towing system! 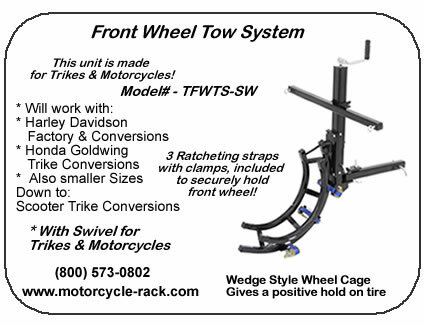 Motorcycle front wheel towing system! Click on picture to Purchase! 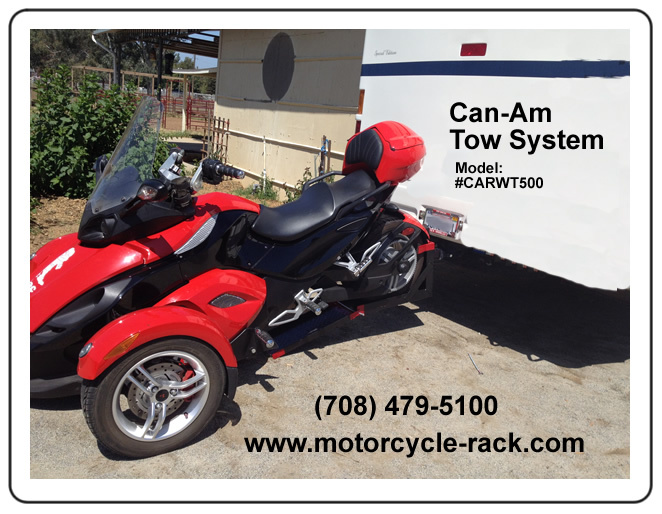 Custom built to tow behind your motorcycle! You don't even know it's back there! 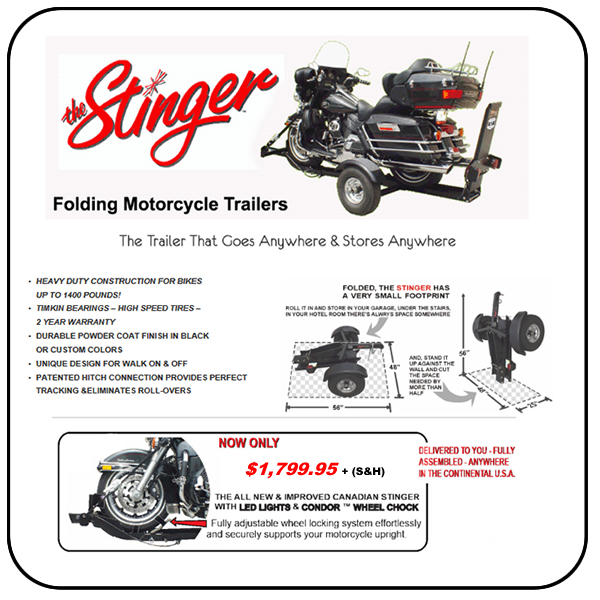 Call Marty, for information and to order! Click Pictures for details and to Buy Now! 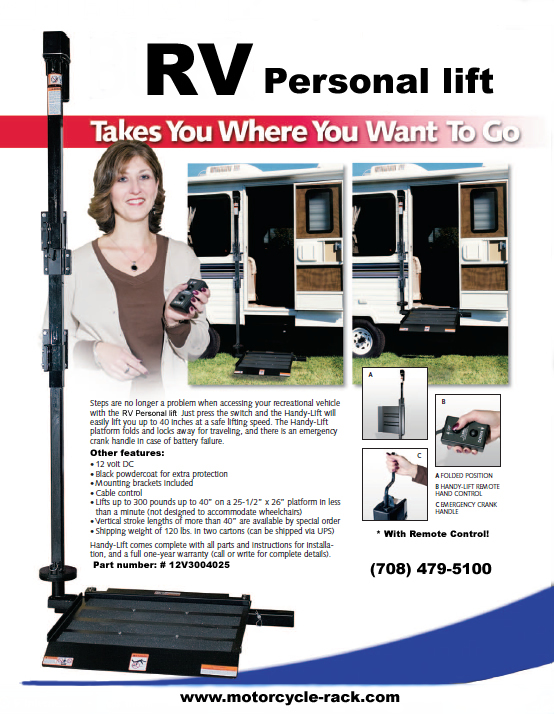 RV Personal Lifts Sale! 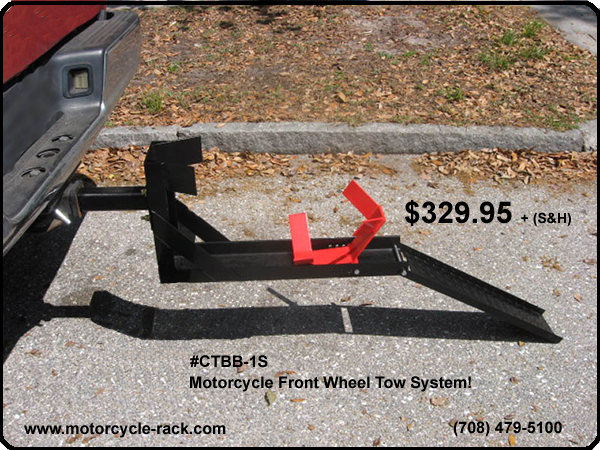 Low Price for this Month!